Idyllwild resident Darien Martus, independent recording artist and member of the Recording Academy and American Society of Composers, Authors and Publishers, is under consideration for two Grammy awards — one for best pop vocal album, “Side Trip,” and a second for best pop duo performance, “Something Comes Along,” a gospel pop piece with collaboration from Paul Johannes, on alto and tenor sax. 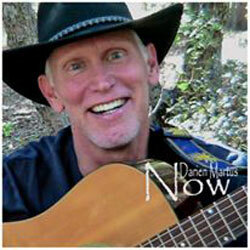 Martus, with seven commercial album releases to his credit, writes both music and lyrics. His canvas is broad — with music in all styles (country, dance, gospel, folk, pop, rock) and for multiple musical platforms including musical scores for theater and concept pieces for pop albums. In interview, Martus talked about the importance of story and theme in lyric writing and in concept pieces. “I like themed albums,” he said, referencing how story and concept albums like “Tommy” by The Who, the later Beatle albums and Andrew Lloyd Weber’s “Jesus Christ Superstar” influenced his own development. Martus creates from his own history and musical integrity, and does not fashion his music to fit current trends. “If I’m doing my own thing as an independent producer, why not do my own thing?” he stressed. His Grammy-nominated album “Side Trip” was just that — a temporary detour from a symphonic rock opera he is creating — an opus that may take years to complete. And as sometimes happens in the creative process, the break he took from writing his opus provided some catchy creative songs that are now being considered for a Grammy. Originally from Detroit, Martus studied piano as a child and received a bachelor’s degree in music from Oakland University. After moving to Los Angeles, he worked in theater, film and television as a composer, arranger, musical director and pianist. In 2000, he received a master’s degree in composition from the University of Redlands. In addition to his multiple theater awards in the desert, he received from the Bay Area Drama Critics an award for Outstanding Musical Score for his musical “Some Love.” His most recent performance piece, released as an album, “Pockets,” charted at number one on Amazon’s Hot New Releases. For more about Martus, visit www.darienmartus.com.